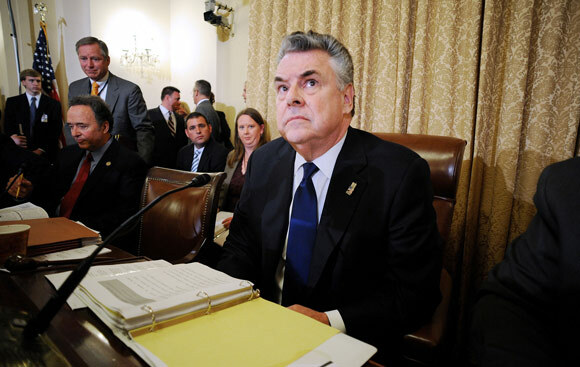 Last week committee chairman Rep. Peter King (R-NY) hosted hearings on the domestic security threat posed by the Iranian proxy terror group Hezbollah ("Party of God"). King called the group “one of international terrorism’s most violent murder gangs.” A former FBI assistant director testified that Hezbollah is the “A Team” of terrorist organizations, and another witness said it is a greater threat to America than al-Qaeda. We don’t know with certainty that Iran would unleash Hezbollah in response to an attack, but according to James Clapper, the Director of National Intelligence, that is a possibility. Perhaps the recent spate of Iranian inspired attacks carried out against Israeli and Western targets validate Iran’s changed “calculus.” Over the past six months Iranian proxies attempted or carried out terrorist plots in Azerbaijan, India, Georgia, Thailand and in Washington. Consider four reasons Hezbollah is a threat to our homeland. First, Hezbollah is aligned with Tehran’s special forces. The Qods Force, the special forces branch of the Iranian Revolutionary Guards Corps, is responsible for clandestine foreign operations. It created Hezbollah in 1982 as a strategic extension of the Islamic Republic and its foreign operations. Today the Qods Force operates training camps in Lebanon for Hezbollah fighters and provides roughly $100-200 million per year in financial support, according to the Congressional Research Service. That relationship explains Iran’s influence and why on command the terror group might unleash its American-based cadre in response to an attack on Iran’s nuclear weapons program. In 2010, the Obama administration identified Hezbollah as “the most technically capable terrorist group in the world,” and the group has “thousands of supporters, several thousand members, and a few hundred terrorist operatives.” Hezbollah’s technical sophistication was evident in the 1992 and 1994 bombings of Israeli and Jewish targets in Buenos Aires, Argentina. The New York Police Department studied the attacks in Argentina. Iran sent “diplomatic” personnel—likely Qods agents who are known to operate out of embassies—years in advance to integrate into society before coordinating the operations. Then Hezbollah agents came from abroad to execute the job with logistical support from local Lebanese Shiite facilitators. Mitchell Silber, NYPD’s director of intelligence analysis, juxtaposed the Argentina attacks with recent events in New York City. Silber testified regarding six events between 2002 and 2010 involving Iranian personnel conducting hostile reconnaissance. Some of the Iranians were expelled for spying, but others were released without incident. Third, Hezbollah is closely aligned with the underworld. It is involved in the global drug trade, which funds its operations and gives it the opportunity to build relationships with the most sophisticated organized crime syndicates in the world. Hezbollah is a mature criminal enterprise, according to Michael Braum of Spectre Group International, LLC, who testified that Hezbollah routinely ships tons of cocaine to Africa and then on to markets in Europe. It launders hundreds of millions of dollars per month in drug proceeds in the Beirut-based Lebanese Canadian Bank, a recent Department of Treasury Financial Crimes Enforcement Network finding. Matthew Levitt with the Washington Institute for Near East Policy testified about other Hezbollah-run criminal enterprises. One effort shipped weapons to Lebanon which involved a senior Hezbollah political official; another case involved the purchase of FIM-92 Stinger anti-aircraft missiles, for the “resistance” in Iran or Syria; and a third case involved weapons stolen from Iraq and stored in Mexico by an active member of Hezbollah. Given this track record, does anyone doubt Hezbollah could easily penetrate our Southwest border in order to launch a terror campaign? Finally, Hezbollah has significant support inside America. This support includes operatives with military training, and a much larger pool of sympathizers who fund and logistically support the group. A 2000 FBI case known as “Operation Smokescreen” cracked a Hezbollah cell operating in Charlotte, NC that stretched as far as Lebanon. Chris Swecker, a former FBI agent who worked the case, testified there were 25 Hezbollah supporters charged with smuggling, stolen property, fraud, supporting a terrorist organization, and money laundering. The Charlotte cell had the infrastructure, discipline, financing, motivation and inspiration to be more than a cell involved in criminal activities and terrorist financing, with direct contact with the highest leadership of Hezbollah. We do know Hezbollah is a growing, clear and present danger within our borders. We need immediate action by law enforcement to reduce this internal threat before any major conflict in the Middle East begins. Merely having them under surveillance is not enough, as the terrorist attacks this past week in France demonstrate.